Chiropractic for spinal stenosis is one of the many possible conservative care options for patients suffering from pain and other issues directly related to a canal narrowing condition. It must be noted that chiropractic is extremely unlikely to be able to cure stenosis due to bone issues, such as the build-up of osteophytes within the central canal or foraminal spaces. There is simply almost no way for the methods used to have any effect at all on the structural issues thought to be causative in these cases. However, chiropractic can certainly help patients with transitional stenosis due to soft tissue pathologies, such as herniated discs. Chiropractic may also be used as a pain relief modality, but this long-term application is not ideal, since it really qualifies as a form of dependency. This objective look at chiropractic details its application in spinal stenosis patients. 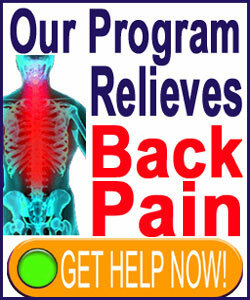 Chiropractic is the most popular and widely used complementary back pain treatment in the world. There is simply no denying the success of this profession and the growth of the chiropractic industry in the past few decades. That being said, very few patients with diagnosed stenosis report cures via chiropractic. The vast majority of treated patients instead report that they achieve short-term relief from whatever ails them and must return for regular adjustments in order to maintain any benefit at all. This mirrors my experience, as well. Many chiropractors fail to tell patients that their treatment has a low chance of actually solving the structural issues responsible for enacting spinal stenosis symptoms. This also reflects my own experience. I paid and paid, always wondering when the pain would finally permanently end. It never did. I wasted 18 years of my life, and more money than I care to think about, pursuing this care, which for me, was a complete waste of time, resources and hope. Not all is grim with chiropractic. For disc conditions, many of the techniques used, such as Cox Technique and modern forms of spinal decompression, like the DRX9000, AccuSpina and VaxD systems, offer patients the opportunity to enjoy a real cure without surgery. That is fantastic. However, for non-disc related stenosis concerns, the picture does not get much better. In fact, it is a subject of much speculation about how a chiropractic adjustment may help a bone-induced stenosis condition at all. Of course, many patients report relief, which either says something illogically miraculous about the treatment itself or just reinforces the power of the placebo effect in treatment. I tend towards the latter explanation. Regardless of why chiropractic works, it does seem to do so for many of us. Therefore, if it is between chiropractic and other forms of symptomatic pain management, I tend towards agreement that this method of care is far superior to pharmaceutical application and much less risky than many minimally invasive techniques, such as epidural injections. 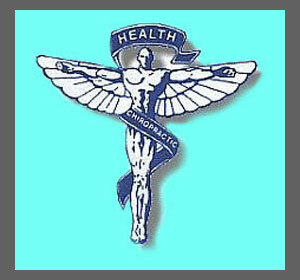 Chiropractic is holistic, and all-natural, giving it a real edge over most medical modalities. Many chiropractors are not forthcoming about realistic expectations for a cure. Some promise the world, then disappoint, while others simply skirt the issue. Many chiropractors will try to treat anything and everything, often injuring patients due to their ignorance of the underlying causative condition present. As previously mentioned, patients want to find an end to their pain, once and for all, and most traditional chiropractic modalities do not deliver this permanent solution. As long as these factors are discussed openly, then I have no problem with chiropractic at all. In fact, I might just recommend it over the usual medical monstrosities which qualify as spinal stenosis treatments. I look to the fine chiropractors on this editorial board as prime examples of the best in their profession.